Age defying regime begins with the scalp. Facial skin does not end at the hairline as the scalp is actually a continuation of the facial skin. What’s more being located at the top most area of our body, next to the facial muscles, the scalp plays an important role in keeping facial skin and facial features lifted and firm. In other words, it holds up facial skin. Nutritive Scalp Treatment Essence is an integrative approach to age-defying treatment for facial skin. Recognizing that the scalp requires its own unique treatment due to the presence of hair follicles and hair, and the chemical processes it is directly exposed to due to hair perming, dyes etc, Nutritive Scalp Treatment is specially formulated to neutralize chemically-induced free radicals, improve scalp circulation and reinforce scalp strength and health. 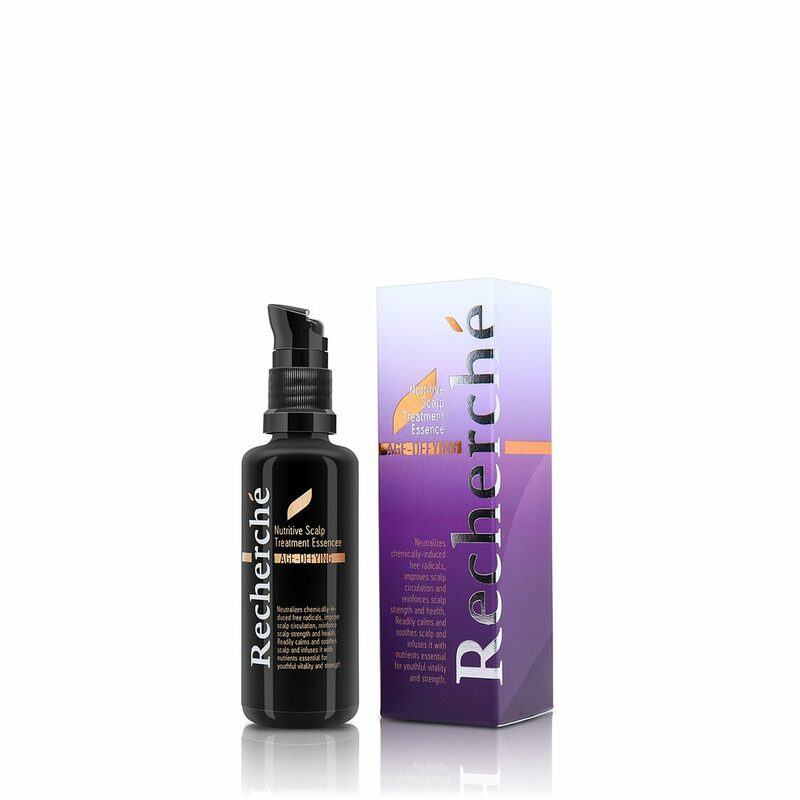 In addition, it readily calms and soothes scalp and infuses it with nutrients essential for delaying aging.